I have read a fair amount of fantasy epics and novels in the fantasy genre in general. I must unfortunately admit though that this is the first time I have ever read a work by Tolkien. He did not disappoint. A lot of the gripes I have with subpar fantasy writers is their inability to engulf me in the world they are developing. The converse being the author that spends too much time describing the world they are within. Tolkien is a master at having a delicate balance of world shaping and character development. I absolutely loved this book and am sad that I didn't discover this work as a kid. 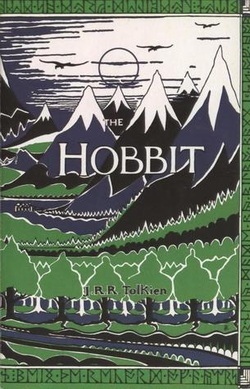 Bilbo is a great character to follow, and there was an adequate amount of adventure and plot twists to keep me going. The only minor flaw I noticed was that I felt there was a ton of buildup, with a relatively quick ending. I would have liked the ending to have been a bit more enticing. The brief time spent on Smaug's demise was a bit disheartening, and I wish some more time was spent on the battle of the five armies. However considering that Tolkien has written three other novels among some others, I can forgive this small complaint I have. Great book, obviously recommended to any fantasy reader!